A bidet toilet is a toilet and bidet in one. They are not to be confused with bidet seats. A bidet seat is a toilet seat with wash functions meant to replace an existing toilet seat, whereas a bidet toilet is a toilet with integrated bidet. Bidet seats offer the convenience of installing a bidet without having to replace the whole toilet. However, in terms of appearance, bidet seats may not match the base entirely. Bidet toilets are popular choices for new toilet installations. But because they come with a higher price tag, many people opt for bidet seats to install on their existing toilets. 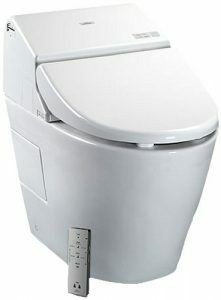 Toto Ltd. is the leading manufacturer of both bidet seats and bidet toilets.